After China and Japan, my third first teas come from Nepal. Owing to their home on the high elevation Himalayas, they’re really quite phenomenal and unique. But in the West it’s rare to come across one from a grower I haven’t already tried. Fortunately some tea shops, like Chado Tea Room of California, specialize in exotic teas. Antu Valley is one such region I’ve been meaning to try. Close enough to Darjeeling to be comparable in rating, while still be quite distinct. Antu Valley lies at 1,828 meters (about 6,000 feet) above sea level in the foothills of the Himalayas. Although grown in the same Orthodox Illam-style, thanks to cool and humid climate conditions, fertile soil and use of young clonal trees, the tea grown here is quite distinct from the more prestigious Illam (3,630 meters (11,929 ft), the first tea farm in Nepal founded in 1863). In aroma, Antu Valley SFTGFOP is a thoroughly enticing malted molasses. Additionally, in liquor, a vibrant burnished orange, characteristic of Darjeeling. 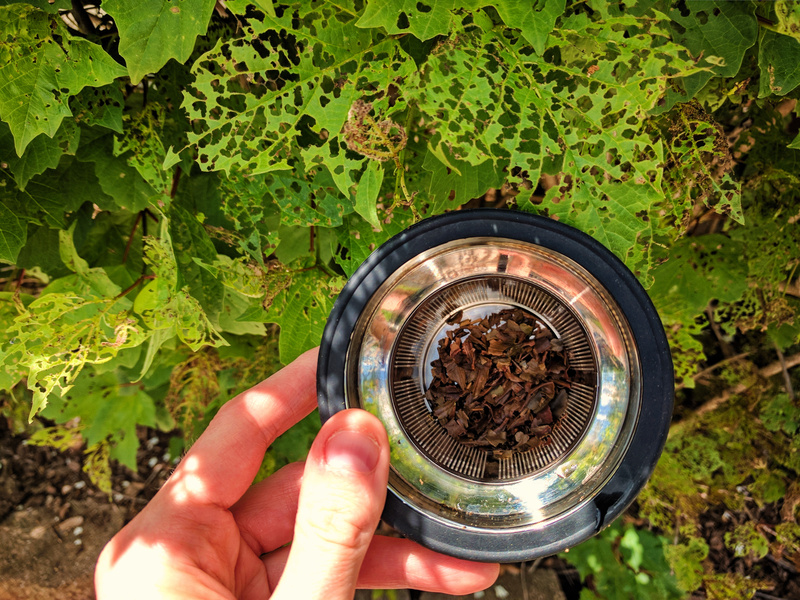 In flavor, however I’m a little shocked to learn that while rated as SFTGFOP (Special Fine Tippy Golden Flowering Orange Pekoe, one or two ranks below the best available), this tea doesn’t really have the same level of refinement (no muscatel, wet black leaf notes). Antu Valley SFTGFOP’s flavor is more of an aged metallic grape malt. It’s texture is also smoother than one might expect from either a Nepal or a Darjeeling. Tippy, but not furry with a medium-low grit. The experience transports you to sheep herding, dry air and yurts. If you enjoy Darjeeling FTGFOP (as I do), you will probably find Antu Valley SFTGFOP quite intriguing. I wish i had been able to keep more teas from Nepal to compare to this one. While it’s style is familiar, it’s character is quite different from what I’ve come to expect. Neat. Antu Valley SFTGFOP (Chado) ~ loose leaf by Jocilyn Mors is licensed under a Creative Commons Attribution-NonCommercial-ShareAlike 4.0 International License. Antu Valley SFTGFOP (Chado) ~ loose leaf Macro 21x by Jocilyn Mors is licensed under a Creative Commons Attribution-NonCommercial-ShareAlike 4.0 International License. Antu Valley SFTGFOP (Chado) ~ spent by Jocilyn Mors is licensed under a Creative Commons Attribution-NonCommercial-ShareAlike 4.0 International License. Antu Valley SFTGFOP (Chado) ~ liquor by Jocilyn Mors is licensed under a Creative Commons Attribution-NonCommercial-ShareAlike 4.0 International License.